The people of the Amazon draw on their natural environment to make works of spectacular beauty. This object, worn by a child, represents the continuity a way of life that has existed for thousands of years. 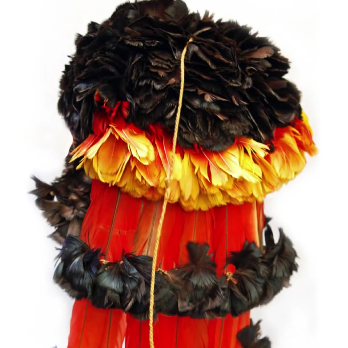 Seemingly made completely of feathers, this headdress comes from one of the most biodiverse places on the planet.